Back Sound, North Carolina has been a hot spot for oyster restoration, with over 50 reefs constructed since 1990. This project, led by East Carolina University, will enhance habitat connectivity in the area by adding reefs along Carrot Island. In this area, shoreline is eroding at a rate of 1 – 2 meters per year. 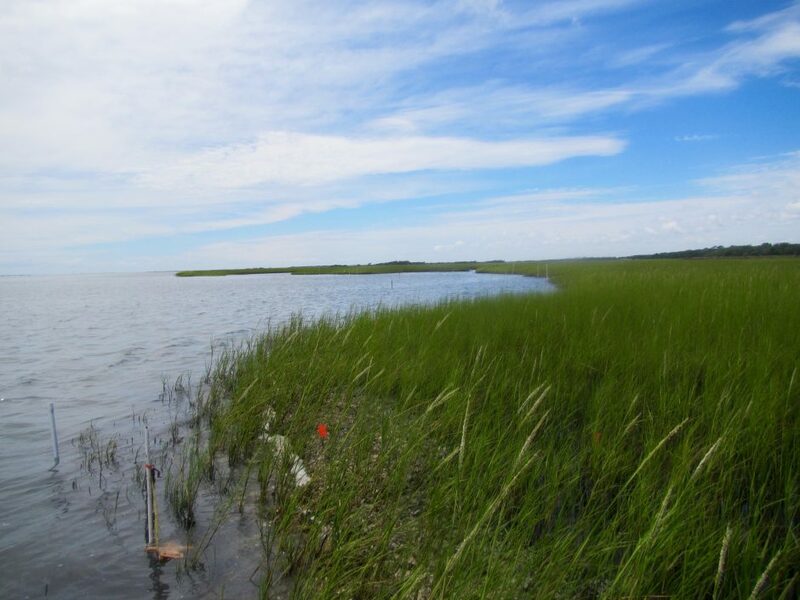 0.11 acres of oyster reef will be built, protecting over three acres of salt marsh. The work will benefit species such as red and black drum, flounder, spotted sea trout, and blue crabs. Text and photos provided by East Carolina University.